The Centre for the Development of Democracy and Human Rights has achieved much in fifteen years, but now, like so many NGOs, it has been branded a ‘foreign agent’. How tightly has the Russian Government been tightening the screws on these supposed ‘enemies of the people’? Fifteen years ago we founded the Centre for the Development of Democracy and Human Rights (CDDHR) because we were worried about the state of Russian democracy. We were a small group of like-minded activists and experts, all in our thirties, and we believed that the Russian public was being increasingly sidelined from all levels of decision-making. Fifteen years ago we founded the Centre for the Development of Democracy and Human Rights (CDDHR) because we were worried about the state of Russian democracy. We were a small group of like-minded activists and experts, all in our thirties, and we believed that the Russian public was being increasingly sidelined from all levels of decision-making. We sought to counter this disturbing trend by engaging with nascent civil society groups and active citizens, in policy debate and advocating civic oversight of public authorities, at local and federal level. The Russian Government in the mid-90s was increasingly unaccountable to the people, and only rarely reacted to the loud protests, and exposure of abuse publicised in the then largely free media. Emerging democratic and legal institutions remained fragile and often fell victim to political expediency and anti-democratic actions carried out in the name of ‘stability’. The majority of the public preferred to blame the authorities for all their troubles, demanding a better tsar rather than taking action themselves. People grew increasingly disappointed about Russia’s democratic transition. We believed that non-governmental organisations (NGOs) were both a tool to strengthen democratic institutions and the protection of human rights in Russia, as well as the means to realise our own aspirations. We have achieved much in those fifteen years: We built a number of national coalitions and networks addressing a variety of human rights issues; we organised nationwide advocacy campaigns to promote legislative changes or stop adoption of repressive laws; delivered dozens of trainings on advocacy work for NGO activists and community leaders across the country; supported grassroots projects aimed at nurturing democratic practices at local level; ran a youth discussion club, and much more. Some of our most memorable initiatives made us feel that we were making a difference. For example, for many years we produced a monthly newsletter and an annual overview with analysis of the legislative process in the Duma, from a human rights and democracy perspective. It was a unique product very much in demand among activists and parliamentarians alike. In the early 2000s, our Centre was one of the leaders of a nation-wide coalition ‘For a Democratic Alternative Civil Service’, which resulted in the adoption of relevant legislation for conscientious objectors to military service, despite tough resistance from the generals. This achievement is described by observers of the NGO sector in Russia as a model advocacy campaign. In the mid-2000s we reacted to a growing use of hate speech in mass media and politics by developing an innovative training course on the ethics of covering racial and religious issues. We produced a textbook and a teaching manual, and conducted this ethics course in many universities across the country, helping students and their teachers learn how to write about life in a multi-cultural society professionally and without bigotry and stereotypes. We could barely satisfy requests coming from schools of journalism. More recently, in cooperation with several partner NGOs, we have conducted breakthrough research into the establishing of connections between corrupt practices and human rights violations in the police, the army, and several other organisations. Empirically, this connection seems obvious but it is important to provide a scientific proof and illustrate it by convincing case studies. Out of this study on corruption, and out of our many years of work on protecting conscript soldiers from the forced labour unrelated to military duties, we have developed a new project: the legal protection of witnesses and whistle-blowers, people who expose cases of corruption and human rights violations, and face recrimination. During those fifteen years, on many occasions we have also worked with officials in different ministries. It has always been a challenge to work directly with the government, including the Presidential Council on Civil Society and Human Rights. We have been criticised for such relationships; there have been fears voiced that we were legitimising institutions that are only an imitation of dialogue with civil society, those who are, in fact, directly responsible for undermining democratic institutions, adopting restrictive policies, and committing human rights violations. It is a very fine line. Until last May we continued to use every opportunity to confront the wrongs committed by the government face to face, and assist victims of abuse by directly appealing to the authorities. Things have changed since last spring, and after the authorities crossed a red line during a demonstration on Bolotnaya Square, and started adopting repressive laws, we withdrew from direct interaction. The policy of putting civil society under government control in Russia did not emerge yesterday. Its origins go back to the times of Vladislav Surkov, the grey cardinal of the Kremlin, and author of the concept of ‘sovereign democracy’. Surkov organised the first Civic Forum in 2001, meant to demonstrate civil society’s broad support for the course of Vladimir Putin. However, civil society was strong enough then to insist on interacting with the government on an equal footing at a dozen ‘round tables’. A few years later, when a series of ‘colour revolutions’ swept away corrupt and unpopular regimes located in Russia’s backyard, the Russian authorities experienced what soon became known as ‘orange paranoia'. Independent NGOs were accused of being marionettes in the hands of hostile foreign governments. and interfering in the political process. The few years of Dmitry Medvedev’s presidency gave independent NGOs only a short break from harassment, and even a slight improvement in legislative regulation. However, this ‘thaw’ was short-lived. Now Russia has entered a period of political reaction. After Vladimir Putin’s return to the Kremlin at the height of the protests in 2012, the State Duma adopted a whole series of repressive laws dictated by the Kremlin. The list is long: a law restricting demonstrations; a law describing NGOs as ‘foreign agents’; a law criminalizing defamation; amendments to the law on high treason (the harshest in terms of punishments, they have not yet been implemented); a law banning a list of websites; and another one banning the ‘propaganda of homosexuality;’ and last but not least, the so-called ‘anti-Magnitsky law’. As a result of these laws, not only the relationship between the authorities and society has changed dramatically, but they have also deprived citizens of their constitutional rights to freedom of assembly, expression, and association. This is a tactical war the Russian authorities have waged, to divert attention from collapsing infrastructure, economic stagnation, corruption and fraudulent elections. Empty talk is the order of the day, aimed at depicting opponents as foreign agents and criminals. The level and volume of propaganda on TV has become extreme, with huge amounts of taxpayers’ money spent, attacking the opposition, and trolling its activists on the Internet. Naturally, repression has followed this talk. As Putin himself recently admitted, with almost palpable regret, this repression has not yet reached the scale of the Stalin era, but Russians do feel the difference from previous years. It is noteworthy that during a meeting of the Board of the Federal Security Service (FSB) in February 2013, Putin put the issue of NGO work in the context of national security, when he expressed indignation that the law on ‘foreign agents’ was not being fully implemented. Putin’s statement launched a wave of mass inspections of NGOs by public prosecutors’ offices joined by officials of the Ministry of Justice, the FSB, the tax inspection, police, fire inspection, sanitary inspection and other state bodies. Inspections started in March and continued until last week. They have targeted hundreds of groups throughout the country, and have acted with numerous legal violations, and often in a very intimidating manner. Inspections and sanctions not only paralyse NGOs’ work, and intimidate civic activists, the main aim is to discredit civil society organisations, and present them to the public as ‘enemies of the state’ who dance to the tune of ‘foreign masters’, from whom they allegedly receive huge amounts of money. During a TV interview in April, Putin claimed that Russian NGOs ‘engaged in political activity,’ had received $1 billion in funding from abroad, just in the last quarter, even though that figure is a fantasy. Not surprisingly, in response to an enquiry from several dozen NGO leaders, the government has refused to disclose the list of NGOs the President had referred to, and the money they have allegedly received. These inspections were also aimed at finding connections between NGOs , the protest movement, and the financing of the political opposition. In the course of these inspections the law on ‘foreign agents’ is being interpreted in the broadest way possible: any kind of interaction with the authorities or society is regarded as ‘political activity’. More than sixty human rights, anti-corruption and environmental NGOs have already been deemed to be ‘foreign agents’ by prosecutors’ offices, or warned that if they receive more foreign money they will have to register as ‘foreign agents’. 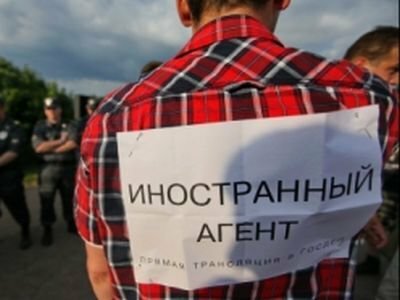 Court sentences have been handed down to GOLOS, the election observation organisation, and its Moscow affiliate, Kostroma Centre for support of Civic Initiatives; and two NGOs working for LGBT rights in St Petersburg, have been sentenced for failing to register as ‘foreign agents.’ A few more trials will follow in the next weeks. Almost twenty NGOs have been given a month to register or face a trial. Forty other groups have received official warnings saying that if they continue their activities, and receive foreign funding, they also would have to register or face a trial. Several hundred NGOs across the country are anxiously awaiting the official results of recent inspections. All of these NGOs have refused to obey the repressive law, and have said that they will not register as ‘foreign agents’. Our own CDDHR is in the third category of organisations targeted by inspections: government prosecutors described our activities as ‘political’. We were officially warned on May 8 that we will have to register as a ‘foreign agent’ if we receive any more funding from abroad. Like many of our colleagues in civil society, we will never agree to wear a ‘foreign agent’ label. We do not intend to give up our foreign funding: we believe that it is legitimate, and in line with international law. Neither will we engage in self-censorship. The prosecutor in charge of our case, after having thoroughly studied our activities, gave a blunt answer to my question: what might constitute a ‘non-political’ activity? ‘I cannot tell you’, he replied, ‘the law was written in such a way that nobody can tell you’. If the campaign of repression against NGOs is not stopped, the independent civic movement in Russia could die within weeks. The unprecedented crackdown against civil society is of extraordinary character, and it demands an extraordinary response. This is not just another case of serious human rights violation. These developments are of a systemic nature, and they will have the most negative impact on Russia’s future. To illustrate, let me quote a recent statement made by Elena Panfilova, director of Transparency International-Russia: ‘I clearly and plainly state: by the end of the autumn not a SINGLE independent NGO will remain in our country. None at all. Not one. Period. A couple of organisations will throw themselves at the mercy of the authorities. Some will die without financing. Others will close themselves down, not wanting to become so-called ‘foreign agents’. The activities of the most uncompromising will be stopped by the government, and their leaders will be sent to prison for two years. At the end there is a choice you have to make: either to close down your organisation or to be prosecuted and face two years in prison. There are no other options. Not for anyone. I think that not everyone understands this, but this is a bottom line’. Unfortunately, in Russia, the level of public support for, and solidarity with persecuted NGOs is low. Propaganda on TV has borne fruit: according to independent polls, 60% of Russians support harsh measures against ‘foreign agents’. The level of fear within society is also growing, and that is no surprise. The repressive machine has a peculiar logic: it is easy to launch, but not easy to stop, as each officer on the ground tries to fulfil and over-fulfil the plan in order to gain favour with the bosses. However, civil society groups are not ready to surrender to the mercy of their persecutors. Russian NGOs have reacted to the adoption of the ‘foreign agents’ law, with a unanimous public refusal to register as ‘agents’, and have challenged the legality of the inspections and their conclusions. NGOs have appealed the inspections’ results in domestic courts, and plan to file a complaint to the Constitutional Court, the European Court in Strasbourg; the UN Human Rights Committee in Geneva; and communicate with the Venice Commission, etc. A group of eleven Russian NGOs actually submitted a complaint to the ECHR in January 2013 as potential victims of the application of the law on foreign agents. They hope that this case moves rapidly through the Court’s system of review. If NGOs are able to organise a broad public campaign inside and outside the country, there is a chance to limit the damage, regroup and fight back. Time is short: there is only a narrow window of opportunity before the G20 summit in St Petersburg in September 2013. 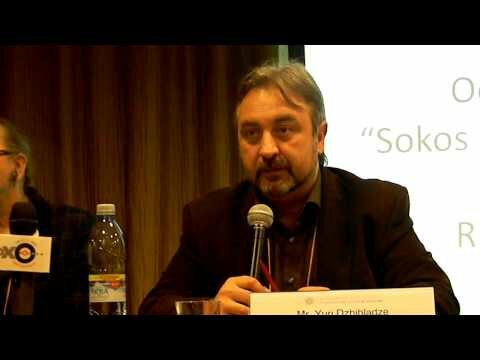 The fight for civil society in Russia goes on.